I love Kickstarter. Its a great way of letting fans of small creators help them get over the financial hump of having enough funds to create their dream niche RPG product. Here’s a selection of British created Kickstarters that I’ve backed in the last year or so. (Links to the KIckstarter pages in the titles). Liminal. Masterminded by my frequent collaborator Paul Mitchener, this one funded waaaaaaaaaay back in February of 2018, but as well as the main core book for this game of British Folklore set in the modern day it funded a whole line of supplements and sourcebooks (city and racial). Full disclosure I’m writing an adventure book for it. Close to final release. 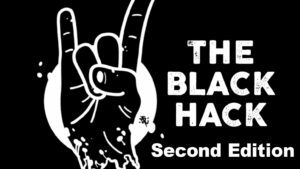 The Black Hack Second Edition. I loved the 1st edition of this popular lightweight take on modern D&D through an OSR lens by David Black. The second edition makes it more of a proper self-contained game you can play on its own and considerably tightens up on both presentation and rules. 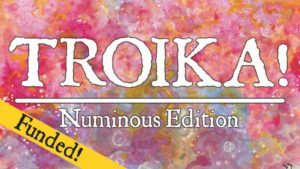 Troika! This one has just landed with backers, it could be lazily described as Fighting Fantasy on Acid, but there’s more to it than that. This is Daniel Sell’s psychedelic fantasy, which distorts and warps expectations at every step. I’m still absorbing its wonder. The following Kickstarters are current at the time of writing being funded on Kickstarter. Bite Me! Who wants a game of Powered By The Apocalypse Werewolves by Becky Annison? You do? Then get over to Kickstarter now and get your pledge in. 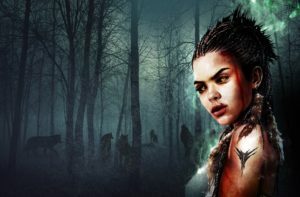 Focusing on pack politics and the game promises a focused look at the Werewolf genre. The City of Great Lunden. This one is the inevitable colossus of that is Midderlands Setting Trilogy by Glynn Seal. This book details the capital of the Havenlands (which were described in part 2, MIdderlands Expanded) where the green-hued Midderlands (which was the first book) is but a region. Although you don’t need previous volumes to make use of this book, which uses the freely available and readily adaptable Swords and Wizardry ruleset, you can pick them up as part of the campaign add-ons. The whole Midderlands setting brings back nostalgic memories of the 80s while being their own thing. It’s evident from the previews on the Kickstarter page it’s carrying on the fine tradition of such settings as Pelinore (of Imagine UK magazine) and Middenheim City of White Wolf (for WFRPG 1st ed). 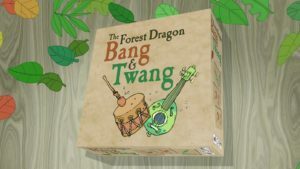 Honourable mention, because it’s a card game, goes to Bang and Tang, Jon Hodgson’s and son’s Rory and Ben’s sequel to their totally charming Forest Dragon card game. This one recently delivered on time a high-quality gem of a game. Worth following Jon’s Handiwork Games imprint, since they’ve got some killer RPGs coming up.